Why did I wait so long to pick up this gem? Old Filth is nearing 80 years old, reflecting on his career as a barrister in Hong Kong and his lifelong marriage, and finally coming to understand the whole ball of wax that makes up his life. This one bears repeated readings. One of the most memorable characters in literature. Sir Edward Feathers has had a brilliant career, from his early days as a lawyer in Southeast Asia, where he earned the nickname Old Filth (FILTH being an acronym for Failed In London Try Hong Kong) to his final working days as a respected judge at the English bar. Yet through it all he has carried with him the wounds of a difficult and emotionally hollow childhood. Now an eighty-year-old widower living in comfortable seclusion in Dorset, Feathers is finally free from the regimen of work and the sentimental scaffolding that has sustained him throughout his life. He slips back into the past with ever mounting frequency and intensity, and on the tide of these vivid, lyrical musings, Feathers approaches a reckoning with his own history. Not all the old filth, it seems, can be cleaned away. Borrowing from biography and history, Jane Gardam has written a literary masterpiece reminiscent of Rudyard Kipling's Baa Baa, Black Sheep that retraces much of the twentieth century's torrid and momentous history. Feathers' childhood in Malaya during the British Empire's heyday, his schooling in pre-war England, his professional success in Southeast Asia and his return to England toward the end of the millennium, are vantage points from which the reader can observe the march forward of an eventful era and the steady progress of that man, Sir Edward Feathers, Old Filth himself, who embodies the century's fate. Jane Gardam is the only writer to have been twice awarded the Whitbread Prize for Best Novel of the Year. She is winner of the David Higham Prize, the Royal Society for Literature's Winifred Holtby Prize, the Katherine Mansfield Prize, and the Silver Pen Award from PEN. Her novels include: God on the Rocks, shortlisted for the Booker Prize; Old Filth, a finalist for the Orange Prize; The Man in the Wooden Hat, finalist for the Los Angeles Times Book prize, and Last Friends, finalist for the Folio Award. She lives in the south of England, near the sea. "Excellent and compulsively readable...Old Filth belongs in the Dickensian pantheon of memorable characters." 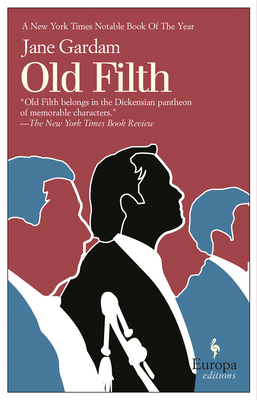 "[Old Filth] will bring immense pleasure to readers who treasure fiction that is intelligent, witty, sophisticated and—a quality encountered all too rarely in contemporary culture—adult." "Gardam is an exquisite storyteller, picking up threads, laying them down, returning to them and giving them new meaning...Old Filth is sad, funny, beautiful and haunting." "Jane Gardam's beautiful, vivid, defiantly funny novel is a must." "[Gardam] is a brilliant writer. Her prose sparkles with wit, compassion and humor." 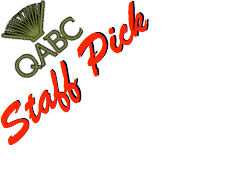 "[Gardam] is the best kind of literary escape: serious, mesmerizing, and deeply satisfying." "It's hard...not to be charmed by a writer with Gardam's substantial gifts." "Gardam's prose is so economical that no moment she describes is either gratuitous or wasted." "Gardam is a unique and wonderful writer."